On this dark January day, I just want it to be summer again. What could be better than to look at the best outdoor wedding? Months before her wedding Emily came to me to talk dress. I was so happy to work with her, and she chose a beautiful dress from our collection. She went for the Millie dress which is empire-line cut and has an illusion neckline and it has beaded lace motifs and beaded lace scalloped hemline. 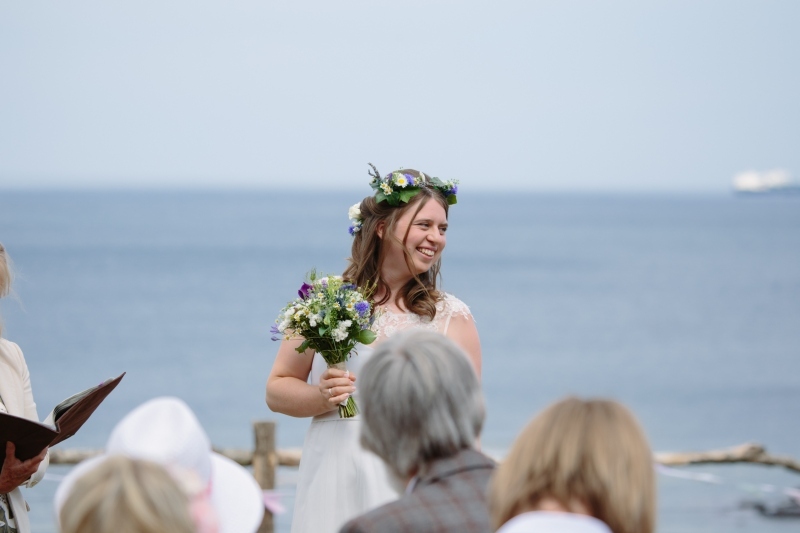 The feel of the wedding was light, summery, so colourful and informal. 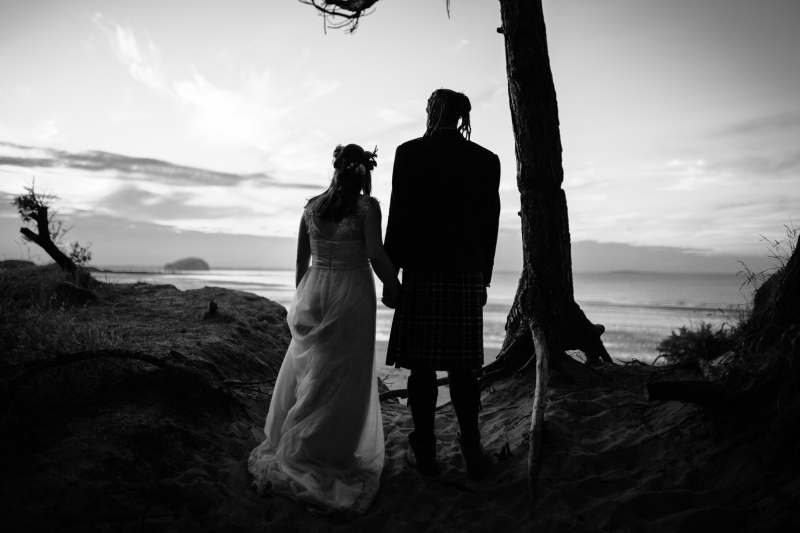 The wedding held in one of my favourite places the Ravensheugh cabin on the East Lothian coastline. 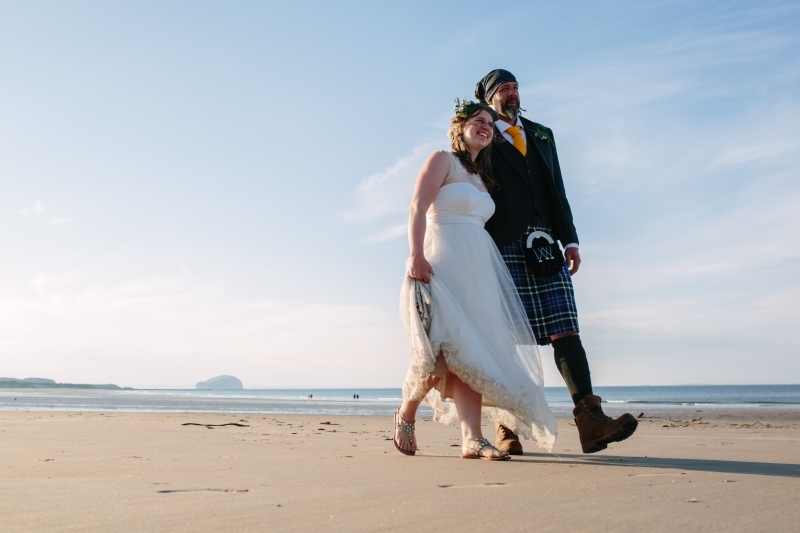 The personal wedding ceremony took place outdoors with the views of the Firth of Forth and Bass Rock. Emily has a degree in art and teaches art. 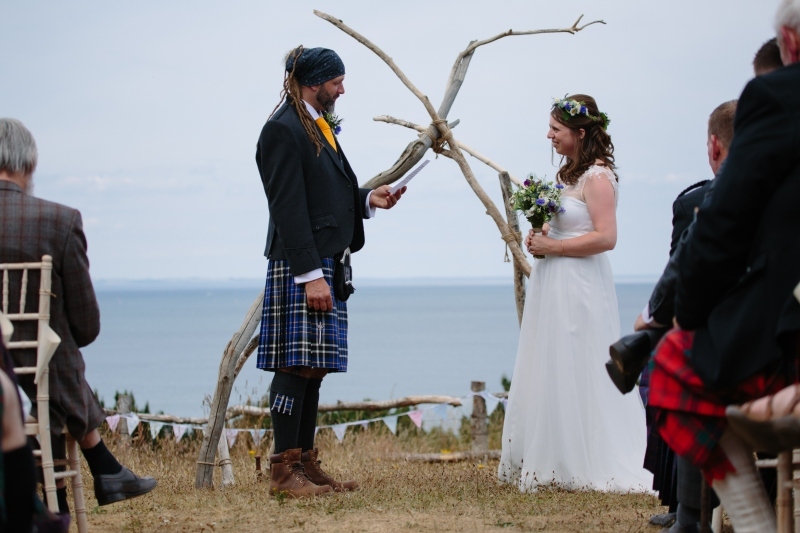 Her ideas and energy are infectious and she made so so much herself for her wedding. I couldn’t believe all the exciting ideas she shared with me at the fittings. Emily even grew her own flowers for her wedding day. I love how fresh, and colourful it turned all turned out. Just beautiful. 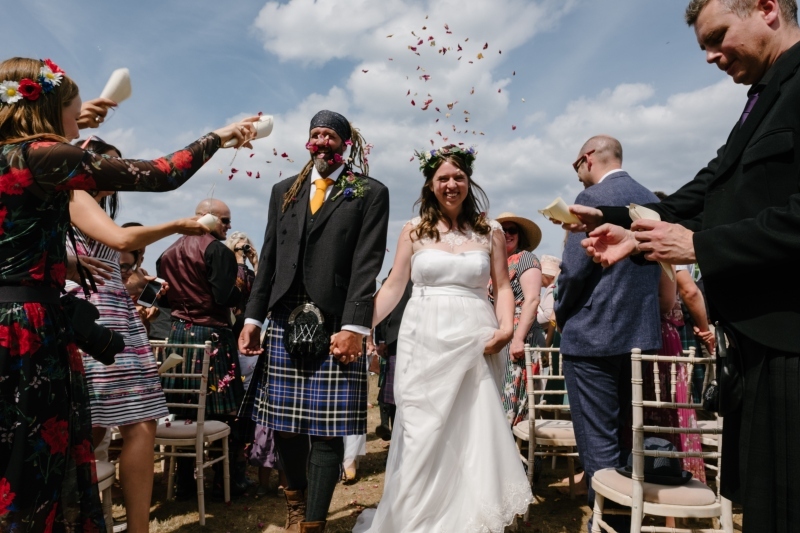 The weather was on their side and the sun shone all day long on the whole wedding party. 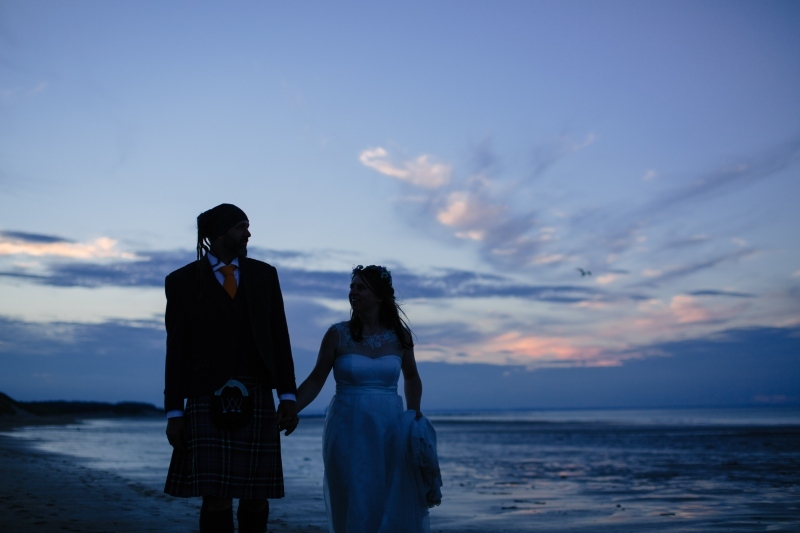 James Robertson was on hand with his camera and has really captured the day so brilliantly. How lovely the couple took a little time out to walk on the beach. The shots of them in the sunset, are just perfect.